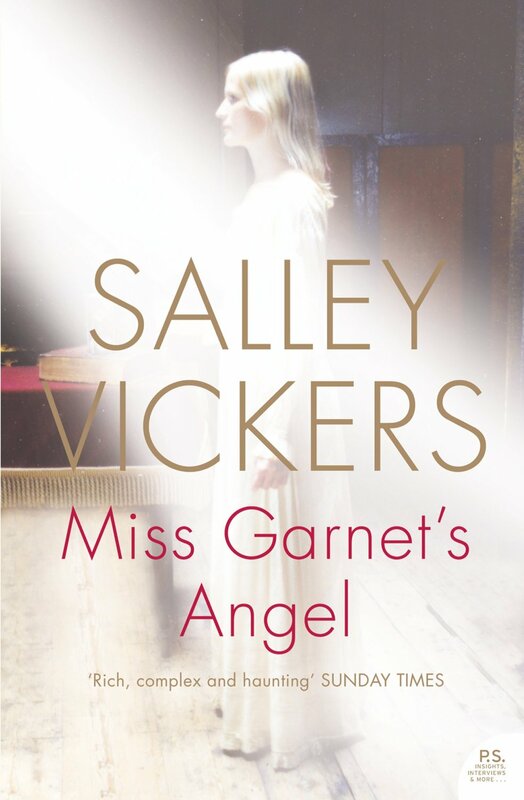 Last Thursday, in a sultry, packed Roysse Room in Abingdon's Guildhall, we welcomed novelist Salley Vickers to what was a very special event. The evening started with a conversation about bookselling. 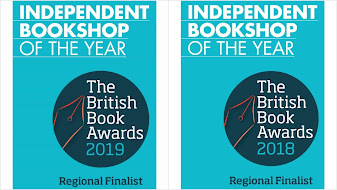 This might have been because Mark was on stage putting the questions to Salley, but mainly it was because - in the long and eclectic list of jobs that Salley had before becoming a full-time writer - she had once been a bookseller, at an independent bookshop in Richmond. 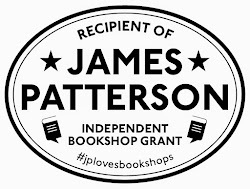 And although her CV lists far more glamorous career choices, including a university teacher and a psychoanalyst, she’s very aware of the difference independent booksellers have made to her, since she became a novelist. Her first book was ‘Miss Garnet’s Angel’, a book published when she was 50 and knew nothing about the book trade. It became a word-of-mouth bestseller. It may have started out quietly, with none of the chains agreeing to take it, and with a initial print run of just 1,000 copies. But Salley said she knew it had taken off when eight months after that initial print run and several reprintings, her publisher had to rush out a final reprint of the hardback in time for Christmas. That book has gone on to sell more than 350,000 copies. Salley is very clear how important independent booksellers were during those early days. Salley was keen to explain how ideas for books seem to come from collisions of experiences past and present. In the case of 'Miss Garnet's Angel', the seeds were sown with a trip to Italy when she was very young and steeled to think Venice over-hyped and too touristy. Wandering off the beaten track she came to a dilapidated church and stumbled across a series of wonderful paintings. Years later she did the very same thing, stumbling accidentally on the very same church, but had recently been teaching the story of 'Tobias and the Angel' on a continuing education course in Oxford. When she recognised that this was the story those paintings told, she went back to her hotel room, and started to write what she initially believed would be a short story - but became ‘Miss Garnet’s Angel’. But the importance of place is often the very first thing that gives her the start of the idea that will grow into a novel. 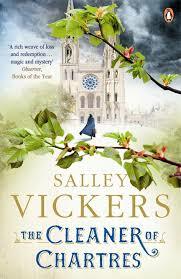 Her latest book ‘The Cleaner of Chartres’ came about from a similar mix of experiences. Having originally been taken round the cathedral when young, when travelling through France she decided to take a detour to see the cathedral again. And after a long night involving an accident and a visit to a hospital, she found herself - unable to sleep - in the cathedral very early in the morning when it was being cleaned. Salley gave insights into more than just the inspiration for her novels, but also how her ideas and characters grow. She likes to write first thing in the morning, as it is the best time to tap directly into her unconscious mind. And although she loves books with good plots and stories, she doesn’t really plot, but instead does a lot of 'mulling and pondering' - and then writes very, very fast. She also likes to put in a character who is not like her, but to whom she gives her own views and opinions. It is details like this which probably help to explain the huge popularity of her books and manage to be both fun and page-turning whilst at the same time allowing shadows and darkness to intrude. Mark confessed to worrying a lot about Agnes (actually, he declared himself 'smitten'), concerned that the main character in 'The Cleaner of Chartres' would manage to have a happy ending herself, despite being a catalyst in improving the lives of the people around her. It is that ability to draw readers into her world that many people care deeply about in her stories. Many people who have read 'Miss Garnet's Angel' have managed to take a detour while in Venice to visit the places mentioned in the book, and book groups have even visited expressly for that purpose. Salley said it was a privilege to write books that she knows make a difference to people. She even heard from the owner of the cafe mentioned in 'Miss Garnet's Angel' who told her he had been about to close down when she wrote the book - and has recently expanded. Now that's a very tangible difference indeed. How many authors can say that? We have a list of thank yous as long as our arm - but briefly - the team at Abingdon's Guildhall for looking after us splendidly, to some emergency staging supplied by Thomas Reade Primary School, a huge thank you must go to Penguin for making it all happen as part of Independent Bookseller's Week. But mostly to Salley herself for a wonderful evening - thank you.